How do Rotary engines(Gnome engines) work ? How do radial engines work ? Nothing much to give introduction on Radial engines except that they were widely used during World War II. More efficiency & power were the greatest needs of that time. 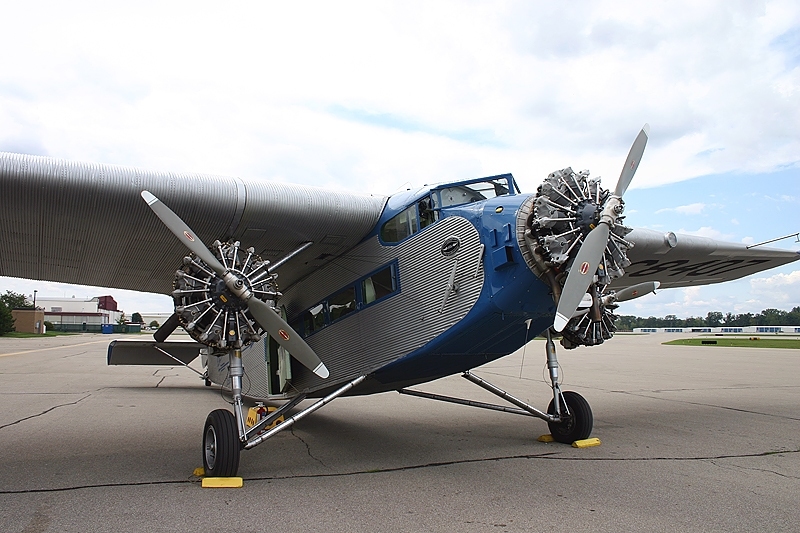 Having many advantages over the rotary engines used in World War I, radial engines proved to be great for aircrafts. Radial engines are Internal Combustion Engines same alike the piston-cylinder arrangement except one change – the piston in the cylinders radiate(oscillate/reciprocate) outward from the central crankcase(like the rims of a tire). Radial engines are also called “Star engines” as they resemble the shape of a star when viewed from the front side. The radial configuration was very commonly used for aircraft engines before the gas turbine engines came into existence. 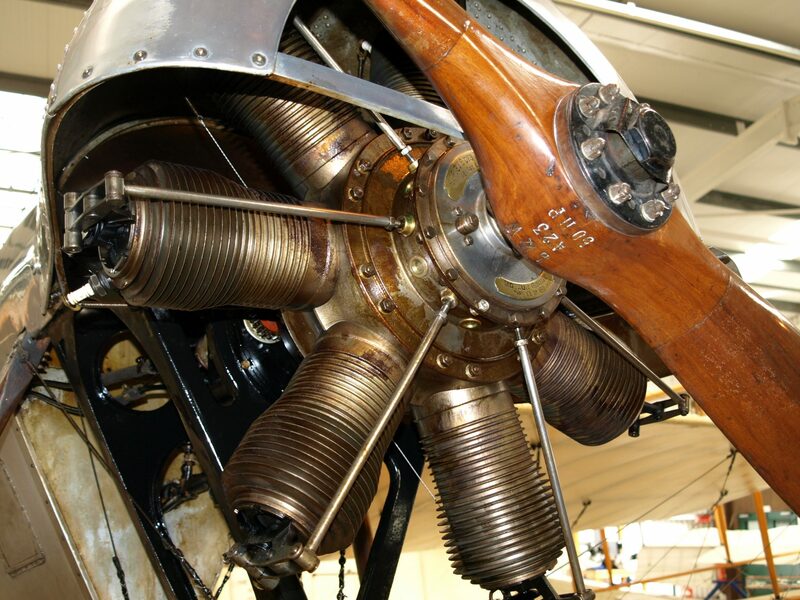 C. M. Manly constructed a water cooled 5 cylinder radial engine in 1901 – a conversion of rotary engine for an Aerodrome aircraft. The machine was unsuccessful, but the Manly-Balzer engine(later in 1903) pointed the way to high power, low weight aircraft engines. Piston – The piston is used to transfer the expanding force of gases to mechanical rotation of crankshaft via a connecting rod. The piston is able to do this because it is secured tightly within cylinder using piston rings to minimize the clearance between cylinder and piston ! Articulating rod assembly – The assembly joins all the connecting rods of pistons with a single part as the cylinders are coplanar (discussed later). Radial engines work like any other 4 stroke engines. They both have similar parts but their construction & design are different. Each cylinder has an intake, compression, power & exhaust stroke. If you consider the above engine consisting 5 cylinders, numbering the top as 1 & going clockwise, then the firing order is 1-3-5-2-4 & again 1 ! Nothing complicated to understand, the firing order & opening/closing of valves are such adjusted that the ongoing power stroke directly helps compress the next cylinder to fire, making the motion more uniform. Why odd number of cylinders ? 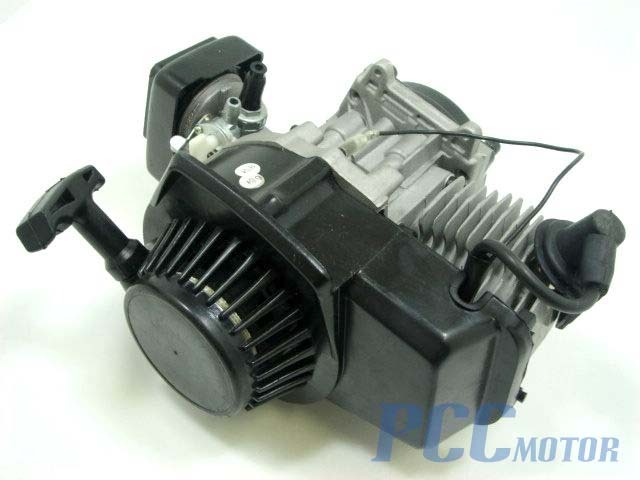 For smoother operation of the engine, consistent power should be produced. For producing consisting power, odd number of cylinders are used so that every other piston firing order can be achieved. Unlike the engines used in cars & bikes, the axes of the cylinders are coplanar, hence the typical camshaft cannot be used for controlling the inlet & outlet valves nor the same crankshaft could be use to deliver the power. Instead the pistons are connected to the crankshaft with a master-and-articulating-rod assembly. I know it is quite difficult to imagine especially which we’ve never heard of, so I’ve included an animation 🙂 ! The articulating rod assembly which controls the inlet & outlet valves by moving 2 rods. Radial engines generally use poppet valves which are overhead the cylinders. These valves are driven by the push rods- which are controlled by the cam plate which rotates in opposite direction than of the crankshaft. The cam is made to spin slow with the help of a geared mechanism. Smoother operations :- Radial engines are great at producing consistent power(contribution of each piston) as discussed earlier. This consistency helps the engine to run smoother. Tougher & easier maintainence :- All thanks to simple design which makes it less vulnerable to damage as well as it makes much more easier for maintenance workers during routine check-up. Cost :- Radial engines’ parts, repair costs, & maintainence costs are inexpensive. A cheaper option is welcomed blindfoldedly in a expensive field of work. 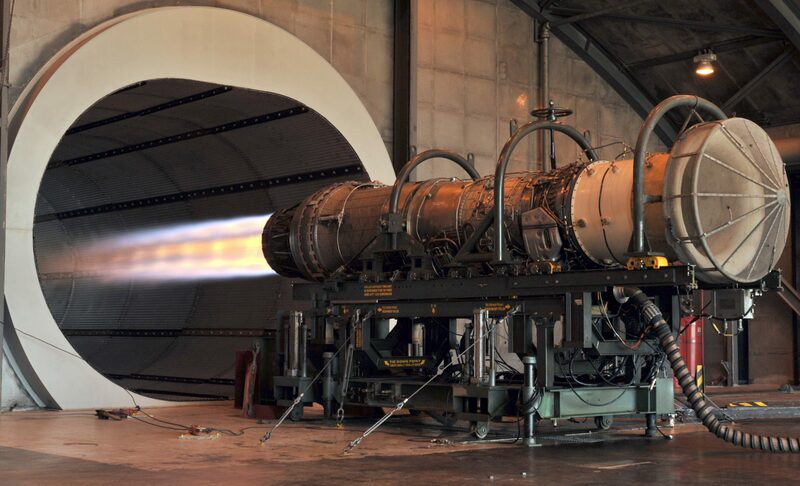 Drag :- As the cylinders are clearly exposed to the airflow during flight, drag increases considerably. Visiblity :- The pilot may experience visibility problems, due to huge single engines located near the nose of aircrafts. Installation :- It is more difficult to ensure adequate cooling air in a buried engine installation. Gas turbines OR popularly known as jet engines stole the market as they were much more powerful, efficient & light weight than radial engines. 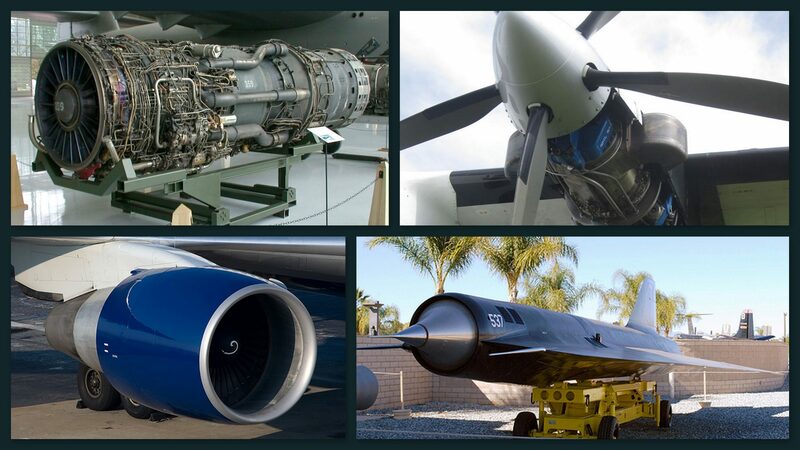 To know more about gas turbines/jet engines, read one of my previous articles in which I have explained in detail about working of jet engines ! Types of Jet Engines (animations)! The first jet engine successfully flew in August, 1939. Hans von Ohain of Germany was the designer of the first operational jet engine, though credit for the invention of the jet engine went to Great Britain’s Frank Whittle. Whittle, who registered a patent for the turbojet engine in 1930, received that recognition but did not perform a flight test until 1941. 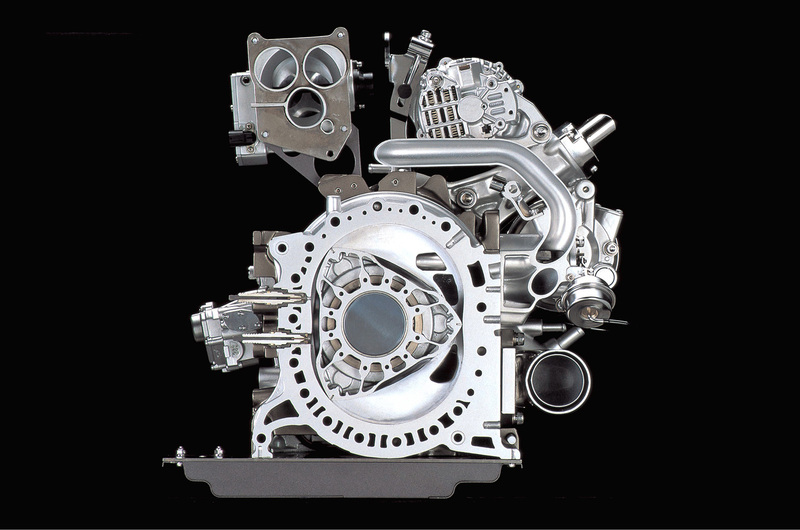 How does a Wankel engine work ? No more boring introductions, lets get started & understand how does a Wankel engine work & what exactly it is !